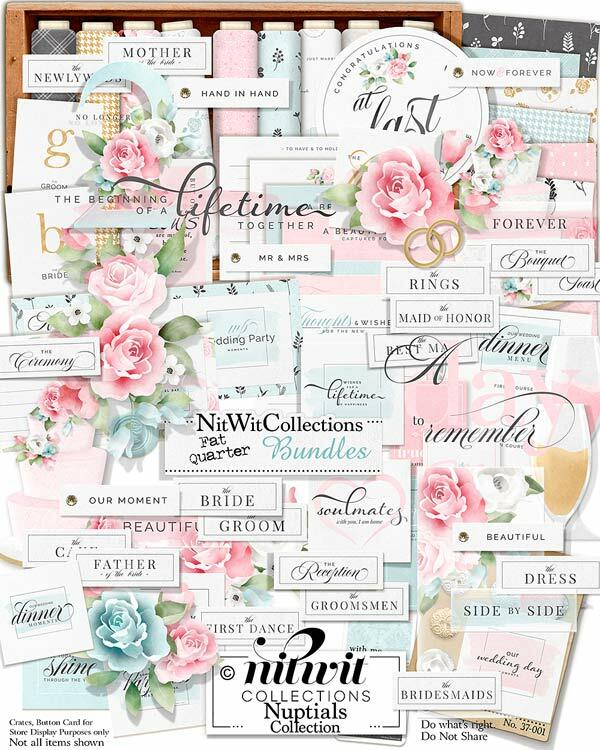 1 Card label - "Two Hearts: One Love"
1 Circle label - "Congratulations..."
1 Digital stamp sentiment - "Congratulations...."
1 Label - "I Belong With You...."
1 Label - "Whatever our Souls...."
1 Label - "Wedding Party Moments"
1 Wedding album page which is a premade layout page. Simply insert your photos and you're done! 2 Postcard elements...one for "Celebrate this Special Day" and one for "Wedding Party Moments"
1 Sentiment element - "No Longer 2, But One"